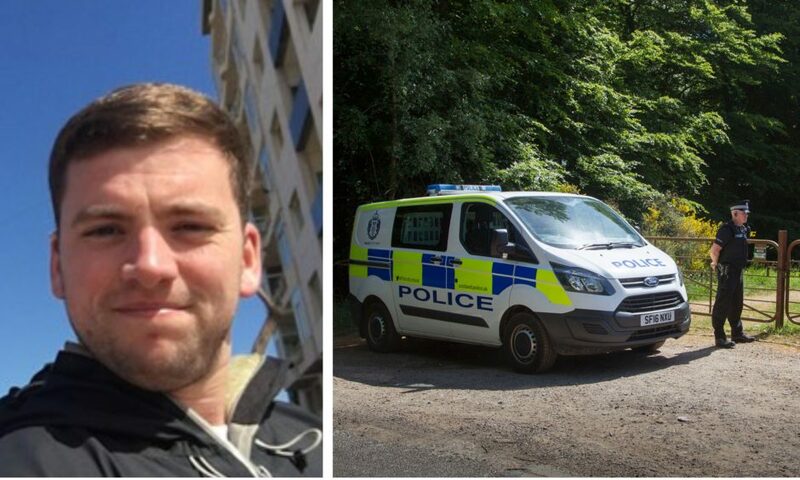 A police forensic scientist told the Edinburgh High Court jury the 27-year-old’s feet and lower legs were burnt to the bone by a blaze so ferocious it left nothing of evidential value on the victim’s BMW. Steven Donaldson was found death near Loch of Kinnordy. Scottish Police Authority expert Louise Sonstebo said sand and gravel marks on the deceased’s lower body led her to conclude that Mr Donaldson had been hauled from the public road across the length of the Kinnordy Loch car park by two people, one holding his feet and the other his upper body. In harrowing afternoon testimony on the seventh day of the trial, Ms Sonstebo detailed investigations she carried out at the RSPB reserve near Kirriemuir following the June 7 discovery of Mr Donaldson’s beaten and burned body beside his vehicle. Jurors were shown photographs of a pool and splatters of Mr Donaldson’s blood on the B951 Glenisla road near the entrance to the car park. The witness said there was a drag mark through the gravel of the car park. Jurors were then show drone footage of Mr Donaldson’s body lying beside the front corner of his vehicle. The witness told the court: “The nature of the fire damage to the lower limbs is such that the feet and legs had been very close to the vehicle, probably into the wheel arch area prior to the fire starting. “The left foot of the accused was trapped under the frame of the vehicle,” she added, saying that was most likely a result of the tyres being completely burnt. The scientist said Mr Donaldson had suffered heat damage to his clothing but it was not her opinion that he had been set on fire. She said it was more likely to be due to the close proximity to the burning vehicle. The BMW was consumed by a blaze which could have taken half an hour to an hour to burn itself out, jurors were told. “It was burnt completely back to the metal externally and internally,” the witness added. She also explained to advocate depute Ashley Edwards that although the petrol tank would “flare” when the flames reached it, an explosion would be unlikely in such a situation because of the nature of the fire. Dickie’s legal counsel, Ian Duguid QC, put it to the witness that the opinion that two people had carried Mr Donaldson was an “extraordinary suggestion” in light of the deceased’s height and weight of five foot six and around 13 stone. Under further questioning, the forensic expert also repeated her view that Mr Donaldson’s lower back and bottom had been in contact with the gravel, which was consistent with his feet and shoulders being lifted off the ground. She said that if he had been pulled by the upper body only, two lines of contact in the gravel from the feet of the deceased would have been expected, and that was not evident in the drag mark.